Your marriage problems are giving you a chance to look at yourself in a whole new way! That's right, the best thing you can do for your marriage is be a healthy, happy person realizing all of your goals and dreams. When you take responsibility, you are free! That is, when you take responsibility for the roles you play in your marriage, you are free to be the loving, happy, upbeat spouse you really want to be. You don't have to live with these marital problems! You make up your mind that you're committed to being the best person that you can possibly be. You make up your mind that you're going to be the best spouse you can possibly be. You make up your mind that you're going to bring only love, respect and responsibility to your relationship. Ready to learn the sacred roles that will solve your marriage problems and make your marriage fantastic? Get your copy of this audio CD program now! It's also available as an audio download, so that you can start solving your marriage problems immediately. Discover powerful formulas that will help you create a fulfilling and loving relationship with your spouse or partner. These 2 anger management CDs will help you to develop highly effective communication skills, create romance on an ongoing basis, bring fun and creativity into your relationship! Husband/wife--for most of us, this requires some re-defining. You may not want to be what you always thought a husband or wife was. Write out your own description of "husband" and "wife," ask your spouse to do the same, and compare notes. Keep working at that until the two of you agree on what is on each list. Companion--this is so important. This includes the daily stuff of hanging out together, going places together and sharing activities. It also means visiting each other's family and friends together. Lover--this is the essence of marriage. Many marriage problems occur because of difficulties in the sexual arena. Learn about healthy sexuality in relationships to make sure you have this vital part of your marriage in good shape. Friend--some of the best relationship advice I can give you is to make friendship the basis and foundation of your marriage. Supporter--you want to know that your spouse will stand by you through thick and thin. That is reasonable, as long as you're on the up-and-up in your other roles. Provider--what are you providing? We all provide for our marriages, the question is, what are you providing? Start to feel connected with your spouse again. That is why you got married, isn't it? Breathe a sigh of relief as you begin to master the skills of being a great spouse, partner and friend. 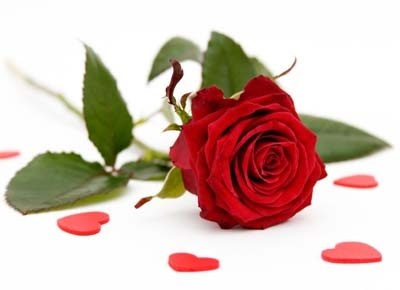 Re-discover the romance when you become the person your spouse fell in love with in the first place! Feel really great about yourself as you master the sacred roles and feel your marriage problems fading away. Discover the "Honored Guest" --this one is a surprise! You'll have to get the audio CD program to find out what this means. Learn about how to be successful in all of these roles and much, much more in this information-packed audio program designed to help you solve your marriage problems! 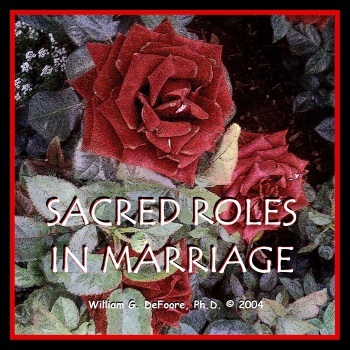 Track Titles For "Sacred Roles In Marriage"
"The 2 CDs I got really got me deeply thinking and gave me tools on how to approach my husband to get him to understand that he needs help with anger and controlling issues. I want to thank you from the bottom of my heart for your work!" "Over the past year I purchased CDs from you on couples relationships. The information contained has been most beneficial--I have seen improvement in my relationship with my spouse." "As the buyer of Dr. DeFoore's books and CDs for the Cooper Wellness Program, I have seen how many participants want to buy his products after hearing him speak." What are you waiting for? There's no risk--we offer a full, unconditional money-back guarantee. Get your marriage problems solved now! Not finding what you're looking for? Here's some more help for your marriage.